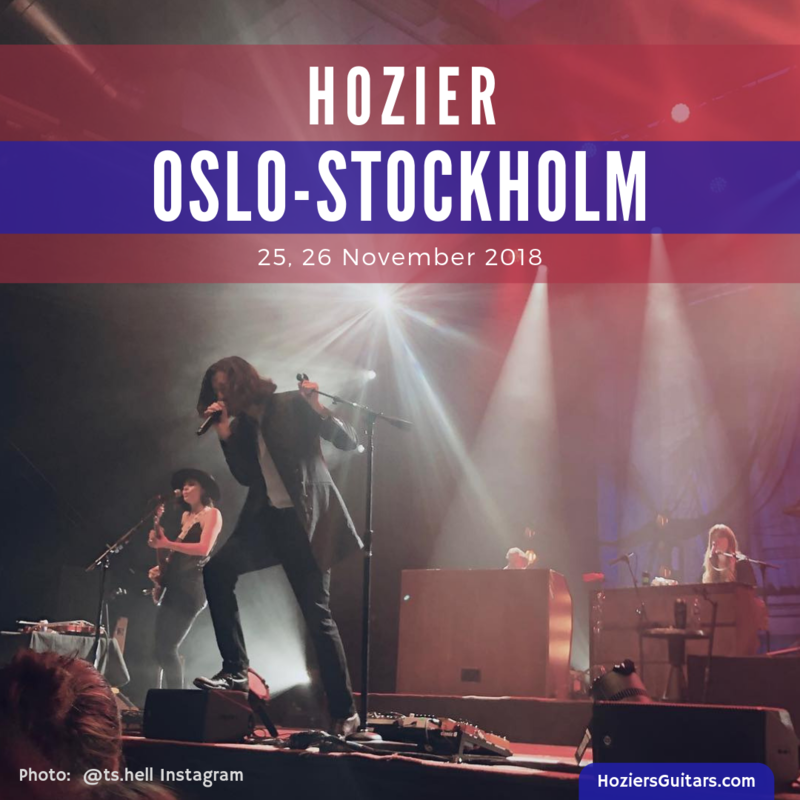 Hozier’s Europe 2018 Tour continued in Oslo and Stockholm on 25 and 26 November at Sentrum Scene and Annexet. Saint Sister opened. Their debut album, Shape of Silence, can be purchased here. Ema och Frida on tour, birthday edition. Igår var vi i Jerusalem och hörde Jesus predika. Featured image: Photo: @ts.hell Instagram . Graphic: Hozier’s Guitars. Tagged Annexet, Norway, Oslo, Saint Sister, Sentrum Scene, Stockholm, Sweden. Bookmark the permalink.